More than 30 years ago, the conversation started among residents and the Lake Vermilion Resort Association about the possibility of building a paved, recreational trail to connect people to the beautiful scenery in the Lake Vermilion area. After many years of discussion and dreaming, an official steering committee was created in 2010, a mixture of volunteers and representatives from local governments and businesses. The group started tackling some big ideas like identifying who will build and manage the trail, where to look for funding, and more. Support and technical assistance came from the Arrowhead Regional Development Commission as well as the National Park Service – Rivers, Trails, and Conservation Assistance program. With a lot of local support and many questions, the master planning process commenced. The long, thorough process has yielded exciting results for the five townships, two cities, and one tribal government involved. A joint powers board was developed, and in 2018, they now take the planning and management of the trail into their hands. They have already achieved a designation of regional significance for the trail, allowing them to access Legacy funding. As the joint powers board plays a central role to the development of the trail, the work group is still very much involved. 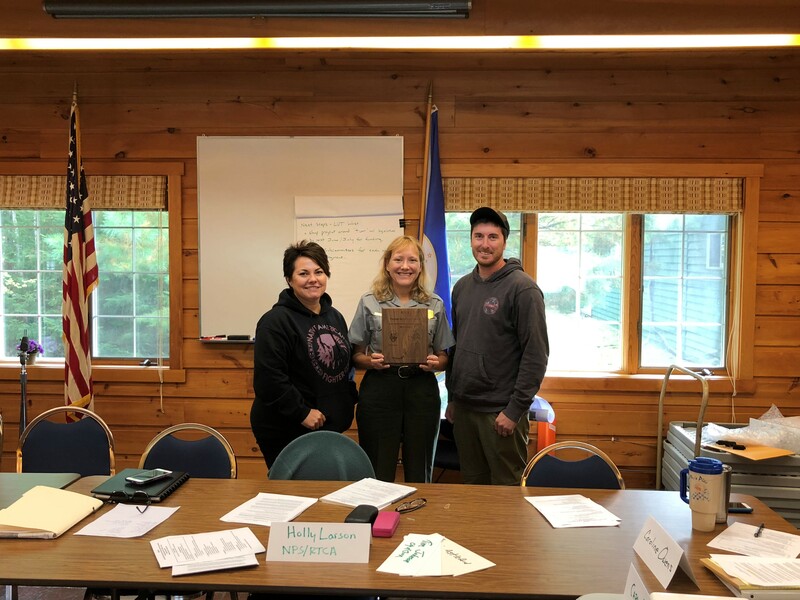 The Lake Vermilion Trail Work Group will continue to join the meetings of the joint powers board and contribute time and knowledge to the development of the trail. They will continue to build partnerships with local chambers, clubs, businesses, and residents to foster awareness and engage in advocacy. They’ll be engaging volunteers and identifying what ways they can support the joint powers board, and ultimately, the trail. The group received an NPS Partnership Award in September 2018.